Added by Indo American News on May 27, 2016. MANVEL: Global Organization for Divinity (G.O.D.) USA will conduct two unique Indian culture camps in Pearland area this June. “Vibrant India” day camp for kids aged 5 to 8 years will be from June 6 to 10, and “Cosmic Connections” for children/youth aged 9 to 15 years will be from June 13 to 17. Both camps will be held at Namadwaar Prayer House located at 3642 Bailey Ave, Manvel TX 77578 in the Pearland area, only a mile from SH 288. 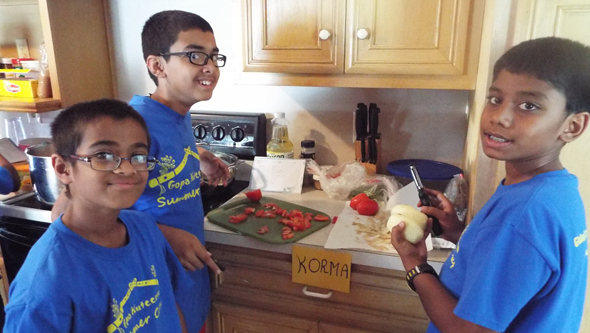 The Vibrant India camp will provide an experience of India’s colorful diversity for young children through several creative workshops and interactive sessions in photography, poetry writing, ethnic art, jewelry-making, cricket, gardening, music, yoga, dance, culinary arts, a field trip and more. 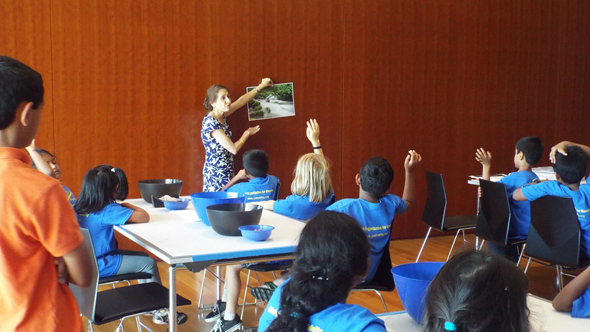 The Cosmic Connections day camp will focus on India’s ancient wisdom and treasures, and their connections to modern science and contemporary life. There will be interesting themed sessions on creative writing, photography, story-telling/public speaking, music and emotions, ethnic art and sculpting, and Ayurvedic cooking, apart from an introduction to meditation, and many games and several fun activities. All the special workshops will be conducted by experts in the fields. Children attending either camp will have a truly unique, enriching and fun experience. Extended care is available at a nominal charge. The camp cost includes t-shirt, snacks and field trip. Participants have to bring their own vegetarian lunch. Please call 281-516-1596 or email houston.god@godivinity.org with any questions. Also check out the Facebook event page at https://www.facebook.com/events/206127199780151/permalink/206774923048712/ for event updates.